The Bird.i User Portal offers seamless access the freshest and most accurate satellite images. View, analyse and download images from around the globe. 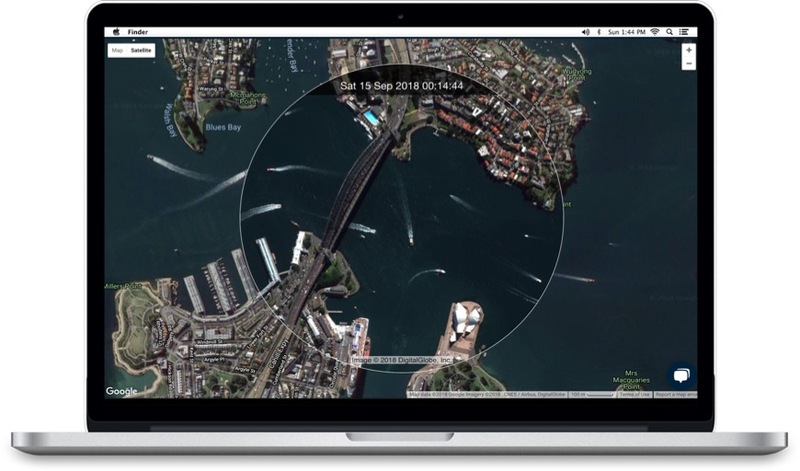 Bird.i’s Image Service gives you access to view the most up to date satellite imagery. The circle in the middle of the base map contains the most up to date satellite image of this location available from us. You can easily search for a location using different formats: address, place names and latitude and longitude. You have the ability to zoom in and out, to identify the smallest details of a satellite image, and if required download the image. 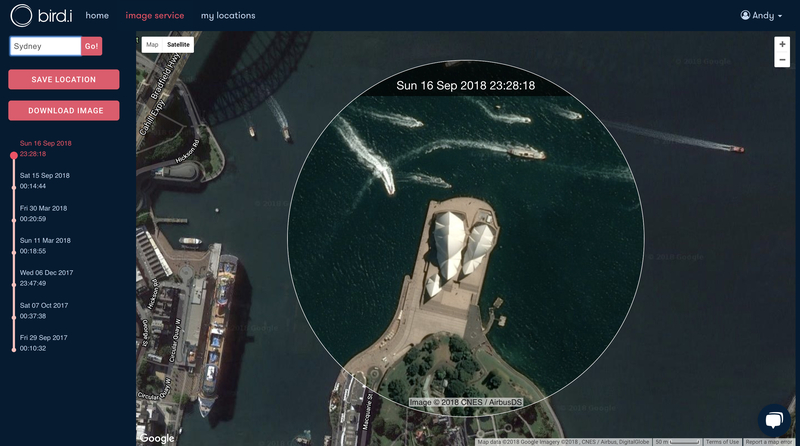 Our Time Series feature allows you to search and view historic satellite images of earth. You are able to access all of the satellite images that are available from us at any location. For a comprehensive view of how a location looked in the past, compare different satellite images to analyse whether there may have been any changes. Our timeline navigation allows you to scroll back through historic satellite images that have been taken over a specific location. There can be up to 10 images available of a location, going back up to 36 months, which provides you with the ability to analyse any changes that may have occurred over this time period. Our simple to implement API allows businesses with their own application or platform to integrate our imagery into their solution. 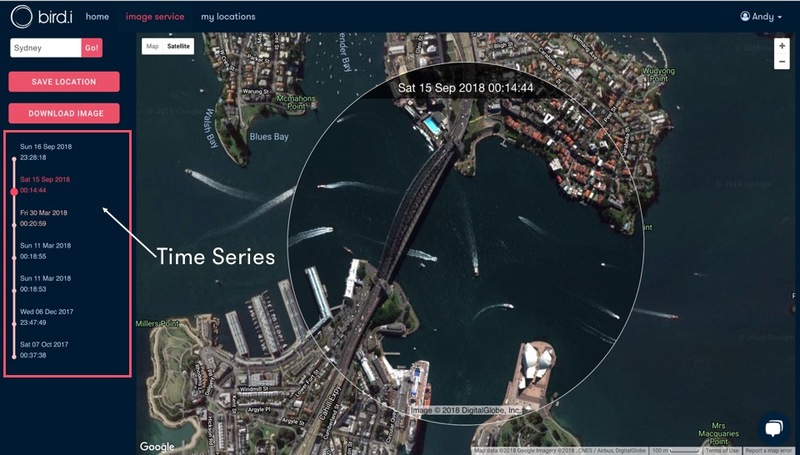 By providing up to date earth observation imagery, our platform partners can enrich the experience for their users, open up new use cases, and realise more revenue. See our partners page for more detail or get in touch to discuss adding earth observation imagery into your application. Make your important business decisions based on accurate and up-to-date satellite imagery.